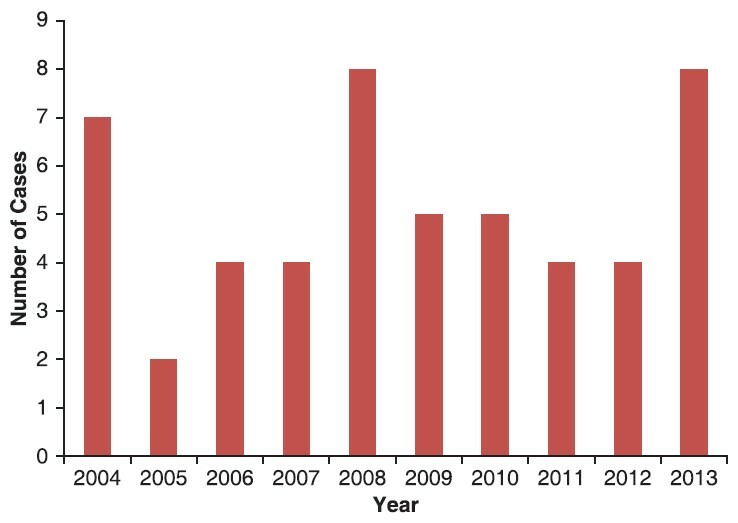 Background: The incidence of renal cell carcinoma (RCC) has been on the increase. Small (early stage) RCC is potentially curable by surgery; however, advanced RCC has a very poor prognosis. Recent advances in the treatment of advanced/metastatic RCC have improved the hitherto gloomy outcome. Objectives: To determine the clinical presentation, pathologic characteristics and survival outcome of patients managed for RCC in our center. 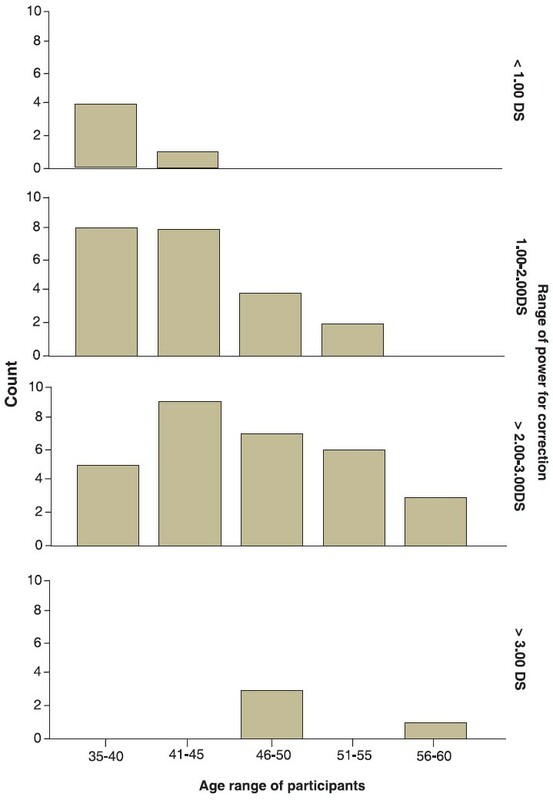 Materials and Methods: We retrospectively analyzed the data retrieved from case notes, operation registers and histopathology records of all the patients that underwent nephrectomy for RCC over a 10-year period (2004-2013). Details of the clinical presentation, evaluation, histopathologic characteristics, treatment and outcome were recorded. Data were displayed in charts and tables and survival analysis was done using Kaplan-Meier survival curve. Results: A total of 51 patients had nephrectomy for RCC during the period of study. The mean age was 43.1 years standard deviation 15.3 with a male-to-female ratio of 2:3. An unexpected finding was the relatively high incidence of right-sided tumors 35 (68.6%) compared to left side 14 (27.5%). Over 90% of the patients had advanced disease (T3 or greater). It was also observed that most of the young patients were females and had predominantly right-sided tumors. Clear cell RCC accounted for the most common histologic type 38 (74.5%). Only 6 patients had incidental (early) disease, and they had the best outcome. Overall survival was poor but patients who had adjuvant treatment fared relatively better. Conclusion: RCC remains a highly lethal urologic malignancy. Recent advances in targeted molecular therapies have improved the outcome of the advanced disease. In our environment, the outcome has remained dismal due to multiple factors, including late detection, cost and relative scarcity of the new treatment modalities. Objective: The aim was to determine the prevalence of presbyopia among workers at Federal Medical Centre (FMC) in Birnin-Kebbi, Nigeria. Materials and Methods: A cross-sectional survey of 145 persons at FMC Birnin-Kebbi, Nigeria. 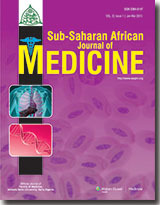 Subjects were selected by random sampling technique from the two directorates of the hospital, clinical, and administrative. Visual acuity was measured with the Snellen's chart while persons with subnormal vision were examined using pinhole and correction if required. Near vision was tested at a distance of 40 cm with a near vision chart. Subjects not using correction were asked on their perceived barrier for not using correction. Results: The age range was from 35 to 57 years (mean age 44.7 years), including 65.5% males and 34.5% females. The prevalence of presbyopia was 42.1%. Spectacle coverage was 51.5% with 48.5% of persons needing correction not using correction. Lack of awareness and no felt need were the major barriers to non-use of the spectacles. Conclusions: Many of the cohorts remained uncorrected despite their presbyopic errors. There is a need to create more awareness among health workers about presbyopia and its correction. Ensuring adequate treatment of presbyopia among health workers can impact positively on the quality of life and productivity of health personnel. 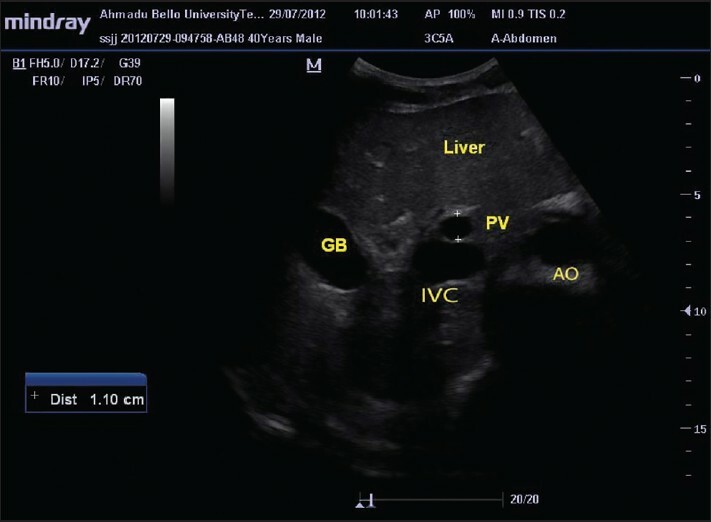 Background: Thyroid physiology changes significantly during pregnancy. Consequently, thyroid disorders are prevalent in women of child-bearing age and commonly present in pregnancy and puerperium. Untreated thyroid dysfunction in pregnancy has adverse effects on fetal and maternal well-being, including miscarriage, placental abruption, preterm delivery and preeclampsia. Aim: The aim of this study was to determine the prevalence of thyroid dysfunction among patients with gestational hypertension in Nigeria. Materials and Methods: Plasma concentrations of thyroid stimulating hormone, free thyroxine, and free tri-iodothyronine (fT 3 ) were measured in 165 pregnant women (aged 18-40 years) with gestational hypertension and 126 age-matched normotensive pregnant women, who served as controls. All laboratory analyses were conducted on Elecsys 2010 immunology analyzer, using a highly sensitive and specific chemiluminescence immunoassay method. Results: The prevalence of thyroid dysfunction was 23.6% and 10.3% in women with gestational hypertension and the normotensive pregnant women respectively. 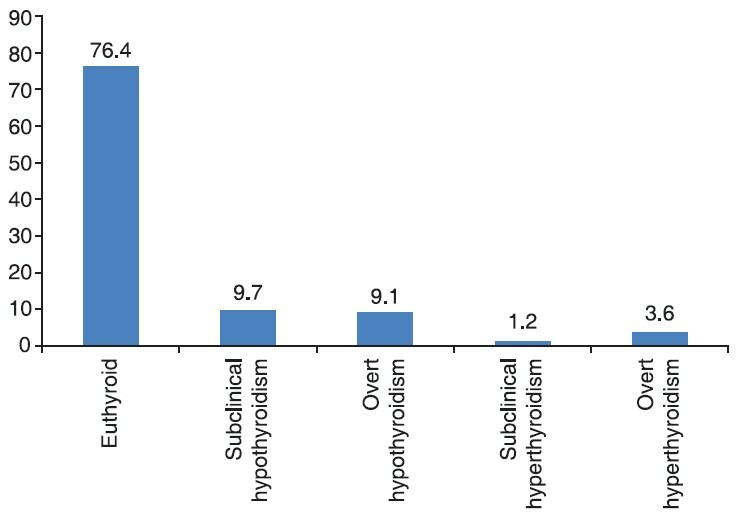 The most common thyroid dysfunction among the study participants was subclinical hypothyroidism accounting for 41.0% and 46.2% of all cases of thyroid abnormalities among the gestational hypertensive women and their normotensive counterparts, respectively. Conclusion: In view of the relatively high prevalence of thyroid dysfunction found in this study, it is suggested that all pregnant women (especially those with gestational hypertension) should be routinely screened for thyroid function abnormalities. Background: There are many causes of the portal vein (PV) disease and these include portal hypertension (PHT), PV thrombosis, PV gas and PV stenosis/obstruction. PHT is a common clinical presentation of portal venous disease with multiple causes and several sequelae. There is a need for an imaging parameter that will aid early diagnosis of PHT since portal pressure monitoring devices are not available in most tertiary hospitals in Nigeria. Aims and Objectives: To determine the normal values of PV parameters using triplex ultrasound (US) among adults in Zaria, Nigeria. 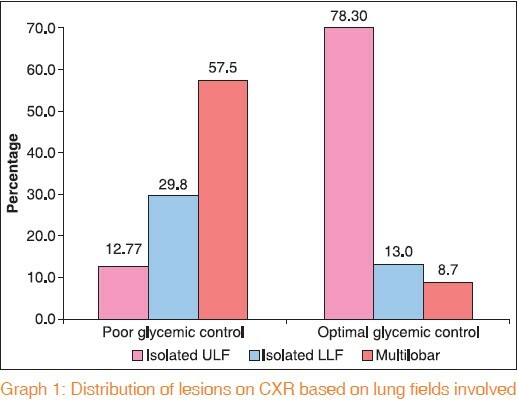 Settings and Design: This prospective study was conducted over a period of 6 months between November 2011 and May 2012 at the Radiology Department of Ahmadu Bello University Teaching Hospital, Zaria. Materials and Methods: Following an overnight fast, US scan was performed on 186 eligible participants. The diameter, cross-sectional area (CSA) and flow velocity of the PV were obtained. Results: The PV parameters obtained were as follows (mean ± standard deviation): PV diameter, 1.09 ± 0.22 cm (range: 0.87-1.31); CSA, 1.10 ± 0.203 cm 2 (range: 0.89-1.30) and mean flow velocity, 15.44 ± 2.63 cm/s (range: 12.80-18.10). All the measurements in males were significantly higher than those in females (P < 0.001). Conclusion: The normal values of PV parameters have been established in adult subjects in Zaria. These values will serve as a reference to detect abnormalities of dimensions and flow velocities in the PV, thus enabling quantitative evaluation of patients with suspected PV disease. Introduction: Epilepsy is one of the most common childhood neurological diseases and is associated with poor outcomes in developing countries where it is most prevalent. The epilepsy perspectives of adults in these countries have been found to influence epilepsy outcomes significantly. Assessing the epilepsy perspectives of mothers, who play a pivotal role in child care, is important to providing comprehensive epilepsy care and ensuring better outcomes. Objective: To assess the knowledge and attitude of mothers, as primary child care providers toward children with epilepsy. Materials and Methods: A structured questionnaire was administered to mothers attending a primary healthcare center, and it assessed their sociodemographic characteristics, knowledge and attitude with regards to childhood epilepsy. Knowledge was assessed based on responses to queries about etiology, manifestation, treatment and outcome of epilepsy in childhood. Attitude was assessed based on mothers' tendency toward stigmatization or discrimination against children with epilepsy. Results: A total of 523 mothers, whose age range was 17-52 years (mean 27.5 ΁ 10.3 years), was interviewed. Most were <30 years old (300, 57.4%), petty traders (217, 41.5%) and had a primary education (221, 42.3%). Spiritual cause (247, 47.2%) and "falling to the ground" (361, 69%) were the commonest epilepsy etiology and manifestation indicated respectively. Orthodox medical therapy (239, 45.7%), prayers (138, 30.2%) and traditional medication (118, 22.6%) were the main treatment modalities indicated. Most of the mothers (277, 53%) were uncertain about the outcome in childhood epilepsy. Stigmatization and discrimination against children with epilepsy were indicated by 120 (22.9%) and 481 (92%) of the mothers respectively. Lack of any formal education, indication of a spiritual etiology and perception of a poor outcome for epilepsy were significantly (P < 0.05) associated with the attitudinal disposition of the mothers. Conclusion: Majority of the mothers demonstrated appreciable deficiencies in their knowledge of epilepsy and had a negative attitudinal disposition toward epilepsy in childhood. Tuberous sclerosis is an under diagnosed autosomal dominant neurocutaneous syndrome characterized by the presence of benign congenital tumors in multiple organs expression and a prevalence of 1/6,000-1/12000 newborns. There are varying degrees of renal involvement in tuberous sclerosis complex, which is usually bilateral and asymptomatic. 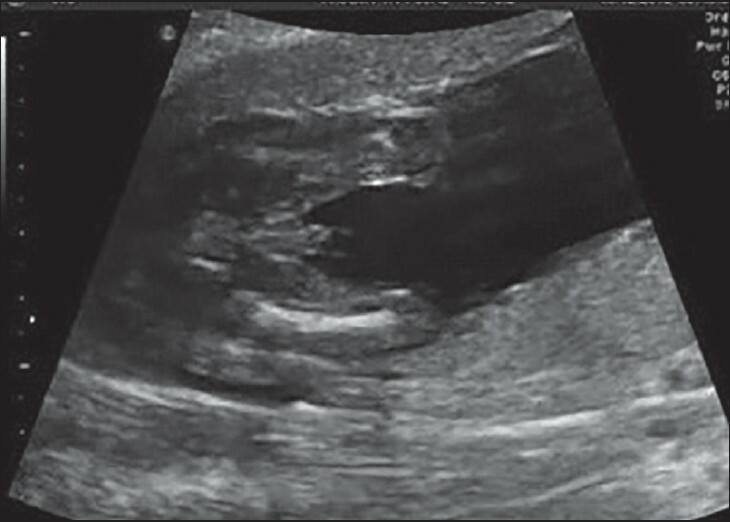 We report a case of Tuberous sclerosis with left sided renal angiomyolipoma and bilateral multiple renal cysts in a 12-year-old boy, who presented with massive hematuria warranting blood transfusion and urosepsis. There was past medical history of repeated seizures. 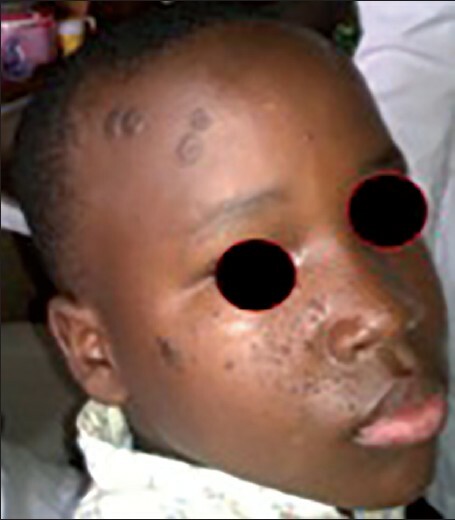 This case highlights the need for a high index of suspicion in a child with un-explained skin lesions, recurrent seizures, mental retardation and symptoms referable to the urinary system.